Welcome to the Carnival of Money Stories #50. I figured a carnival of money stories should have a theme about…money stories!. A lot of great posts this week so let’s get started! 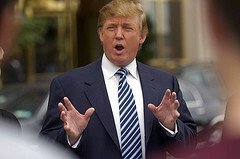 Donald Trump seems to be mostly show business sometimes but at the end of the day he is all about money. Millionaire Money Habits shares his financial epiphany. An excellent story. Million Dollar Journey put together a great series on determining his life insurance needs. It’s a three part series so check them all out. Paid Twice reminisces about how she fell for some shady marketing. Canadian Dream talks about his top three investment mistakes. Debt Reduction Formula details how he consolidated his high interest credit cards by borrowing from Prosper It was good to a read a post from a Prosper borrower and see that side of the story. 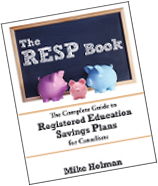 Wooly Woman had a good post on how she avoided the RRSP (401K) hype. Dutch tulip bulb mania of the 1600’s. That particular mania along with others are often used to illustrate one of the key points of investing your money into the markets (stock, real estate etc) – don’t get too depressed if prices are falling (it’s a good time to buy) and don’t go crazy and buy in when things are going too well. Antishay Ventenne tells the story of how she battled debt and is winning. Dividend Money has some ideas on reducing student loans. Mighty Bargain Hunter wants to turn the volume down when doing banking transactions. Sound Money Matters has an exciting debt breakthrough – with her husband. Chief Family Officer admits that her dumbest mistake was a fur hat. She doesn’t say how much she blew on it however. Debt FREE Revolution rants about tipping for pizza delivery. I used to deliver pizzas a long, long time ago so this post was quite interesting. Money Blue Book talks about saving money at the amusement park. The Digerati Life shares some thoughts about dealing with a heavy debt load. Cash Money Life faced a moral choice involving money. I’m happy to say that he make the right choice. Gather Little by Little talks about his path into debt and eventual financial epiphany. Fort Knox is where a huge amount of gold is stored. Gold isn’t technically money but in the days of the gold standard you used to be able to trade your money for gold. Rocket Finance asks the question, what is $6992? You might be surprised at the answer. Finance Freelance Life tells us about her wisest purchase ever. I’ll give you a clue – it wasn’t a Nintendo Wii! Plonkee Money talks about some great customer service she recently experienced. Credit Withdrawal admits that he made some home ownership mistakes, but it worked out in the end. Remodeling This Life says that debt free equals happiness. The Financial Blogger says he doesn’t mind paying for medical service. I think if he knew how much he would be paying then he might reconsider. Being Frugal details her path into debt and the long road back. You’ll get there BF! Money Ning raced to complete his wife’s tax return in 13 minutes flat. Are You Going To Be This Way The Rest Of The Time I Know You talks about her mother getting a small windfall. Fire Finance had a mixup with a credit card fee. Luckily he got it straightened out. I love the look of this! You must have had a lot on your plate with both carnivals. 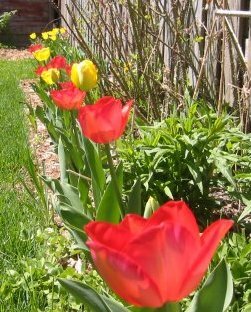 🙂 The Tulip craze was an excellent addition. Thanks for hosting, and thanks for including me! Mike, you are a machine! Another great job. Wow, great job putting this one together 🙂 And you used to deliver pizzas also? Hey thanks for the pick!! Thanks very much for hosting a great carnival! I wish I could remember how much I spent on the hat but it was years ago, before my kids were born, and I don’t remember. I know it wasn’t outrageous, and it was probably on sale, but I don’t think it was particularly cheap either. Either way, a fur hat in SoCal = stupid! Great job on the carnival and thanks for including me! Thanks for putting in my post Mike. Now go rest after two carnivals back to back. So I am honored to be a Trump Pick! Mike: You are a carnival hosting machine. I haven’t seen this carnival before, so thank you for the introduction! I’ve got some reading to do now…. I hadn’t seen this carnival before either, thanks for including my entry, and I am enjoying reading all the money stories. Hey, thanks for the mention, and extra thanks for choosing my article as an Editor’s pick! Great job on the carnival this week!